Managers are the ones who set the tone for the team in the office and on a conference call. So if you are a manager, you may want to be well learned on proper conference call etiquette, so you can lead a successful, productive meeting no matter how it is conducted. 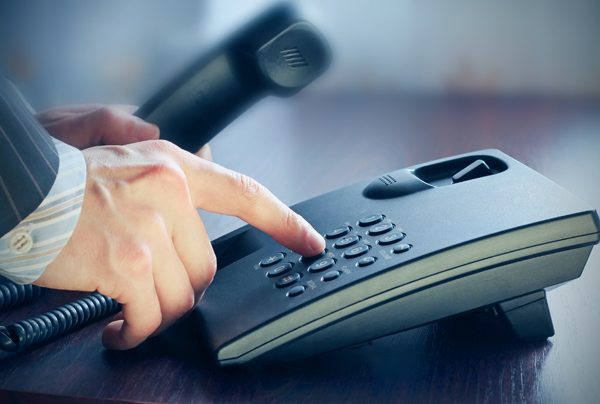 This post will give you the lowdown on proper conference call etiquette, including some lesser known tips to communicate effectively, even when you cannot meet face-to-face. Before the conference call even takes place, proper conference call etiquette suggests that an agenda be sent out to everyone in advance. Just as you would with a normal, in-person meeting. It is easy to get distracted on conference calls. Having an agenda to follow will keep you and other participants on track. Make sure to send this out early enough for everyone to read it over before the call. If you want to hold a productive conference call, make sure you provide everyone with an agenda. In order to have a productive conference call, you are going to need to identify a leader for the call. This does not necessarily have to be the boss or supervisor. It just needs to be a person that has the agenda. Typically, it helps to identify the point person for a specific project or task as the leader of the call. However, it does not matter. The important part is identifying clear leader for the conference call to be productive and orderly. As a manager, it is your duty to set the standard for conference call etiquette. Make sure to have everyone introduce themselves at the beginning of the call, yourself included. This is true even if you are only calling a 1-800 number to find out about landlord insurance. That way, everyone knows who is actually present on the call. Then, throughout the call, also make sure to state your name before you speak. Not everyone will be able to recognize participants by voice alone. If you make sure everyone introduces themselves at the beginning of the call and remember to say your name every time you speak, you will be able to ensure that all participants know exactly what is going on. This should go without saying, but unfortunately not all participants understand basic conference call etiquette. Find a quiet place to participate in the call, free of background noise or possible interruptions. There is nothing worse than trying to conduct business while someone is constantly getting distracted by unwelcome interruptions or annoying noises. Always pick a nice, quiet place to conduct your conference call and get there well in advance of the meeting time to ensure you are ready to go when the phone rings. If you cannot find a quiet place to conduct business, say you are on the road, in a muffler shop or out of the office for any reason, make sure you give other participants the heads up. At the beginning of the call, after you have introduced yourself, apologize in advance for any distracting background noise or interruptions. Explain where you are and why you are unable to secure a quiet spot. Then, let them know that you will do your absolute best to limit any distractions or interruptions as much as possible. Then, throughout the call make sure to utilize the mute button whenever you are not speaking. This way, everyone else can speak and be heard without any distractions from your end. If you absolutely cannot find a quiet space, proper conference call etiquette suggests that explain yourself to other participants and make use of that ever important mute button. If you are conducting the conference call, which many times you will be as a manager, make sure to account for any and all dead air. Think of yourself as a radio DJ, do not let there be a second of total silence. It makes people wonder what is going on and participants often start to feel restless or uncomfortable. This is especially true if someone is not paying attention. So just to be curteous, make sure you speak during times of silence, like when you are searching for a specific email or memo. “Sorry everyone, just looking for the email from HR ….. opening it up now…. Okay, got it right here.” This is one tip that will put your conference call etiquette in another league. Make sure to use it every time, and other participants will too. Okay, this probably should not even be necessary. But just in case it is, please do not eat or drink anything while you are on a conference call. We understand, you are busy. So is everyone else. Put down the coffee, tossed salad or sandwich. It can wait until after the call. If you absolutely must eat or drink during a call, which you really should not have to do, at least be kind enough to mute yourself. But remember, you may be called on to speak when you are not expecting it. So do yourself and everyone else a favor, do not eat or drink while on a conference call. This is beyond conference call etiquette, it is just basic manners. If you are looking to brush up on your conference call etiquette, this post will help you do just that. These five practices are absolutely vital to conducting a successful, productive conference call. Follow these tips, and you will impress your team and your supervisors with the amount you are able to get done in a single conference call. If you have any other conference call etiquette tips or any conference call pet peeves you encounter far too frequently, less us know about them in the comments below.